Doing one of my favorite things -attending a ballet performance with my mom. Dinner on my 50th Birthday. Eating my favorite- Chocolate Mousse! At the Jean Talon Farmers Market in Montreal - a special place. I would love to hear from you! 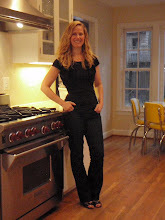 You may contact me at claire@cookwithclaire.org.